Building out the scope from one case to the workings of an entire courthouse, the show is in a prime spot to recapture the public's attention. The beginning of “Serial” Season 3, which focuses on daily life within a Cleveland courthouse, opens like the beginning of a novel. Only, instead of a riveting crime yarn introducing the audience to hardscrabble detectives and unsolved murders, it starts with a bunch of buildings. That the intro is concerned with spatial architecture just as much as the people involved in what goes on inside them is at once a signal that Season 3 is a bit of a departure for the show, but one that still maintains the podcast’s impeccable attention to detail. Instead of following a single crime or unexplained decision as they did in their inaugural two collections of episodes, this next batch of stories from “Serial” is focused more on an institution. Embedding in that Cleveland courthouse, the aim of this season is to present a representative sample of how our current American judicial system functions. Some of the cases in the first two episodes (now available to listen) range from bar fights to weapons possession to drug charges. In doing so, the show has retained a skill that it demonstrated in the Adnan Syed case and carried through its examination of Bowe Bergdahl’s capture. When condensing months (and in some cases, years) of reporting down into a single sentence to make terms or practices digestible for lay people, it’s done with an incredible efficiency and economy of words. Here, that effort is put towards the sometimes labyrinthine process of plea deals and sentencing, the intricacies of the judicial system that exist outside the common perception of how someone is made to atone for their crimes. And just as it did for the military, Season 3 has already demonstrated a meticulous ability to separate out individuals within an organizational structure while still considering the institution as a whole. Much like how the actions and testimony of officers feed into a perception of how branches of the military function work and vice versa, the same is true in the “Serial” portrait of this courthouse. It’s impossible to remove one from the other. Judges and prosecutors and defense attorneys all contributed to this giant amorphous whole, to the point where men and women sent through the judicial process are made to relinquish themselves to the system. 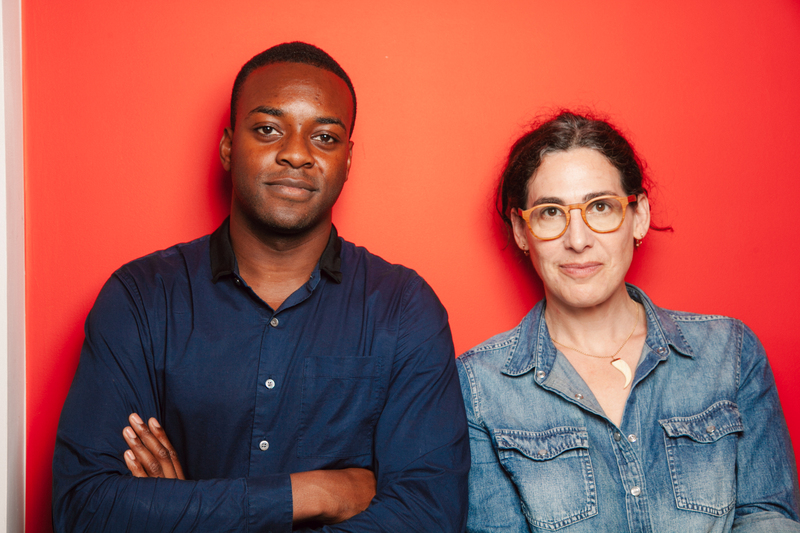 Host Sarah Koenig still represents a strong authorial voice at the center of the show, but the contributions from reporter Emmanuel Dzotsi offer a valuable perspective to the goings-on within various legal chambers. Even though the courthouse represents the umbrella under which all of these Season 3 stories fall, the idea that not all of these experiences can be approached with one overriding approach necessitates that introduction of literal new voices. This early balance between the two points to a richer, nuanced approach to digesting all the examples this courthouse has to offer. Perhaps the strongest message from the earliest two episodes is that the show and this approach to the justice system are a perfect match, especially for a show that draws so much of its power from reconstructing and unraveling existing narratives. Dzotsi, Koenig, and fellow producers Julie Snyder and Ben Calhoun don’t have to graft their own pursuit for a story onto what’s already happening. As they outline, for many people within this hierarchy, justice is already a personal narrative. It’s subject to the deeply held convictions of individuals with the power to use their position to guide the system to their worldview. It’s what makes the second episode, filled with the zealotry and willful ignorance of one particular judge, an effective entry point into the broader themes the show promises to continue investigating for the rest of the season. The journalistic removal from the reporting process itself isn’t put forward as some kind of objective truth that everyone in the system is blind to. But “Serial” does have its distinct way of highlighting a disconnect between perception and the concrete, tangible consequences those assumptions can create. By pointing out existing and potential inefficiencies in the existing legal process, it’s challenging the perception of capital-J “Justice” that can so often be used as shorthand. Part of the message, whether it’s spoken or implicit, in that first season was an underlying question of how a case so monumental in the course of one person’s life could be given less than the maximum amount of effort toward making sure a reasonable decision was reached with a full accounting of all the facts involved. Factors of time, circumstance, and the system itself complicated an already complicated pursuit. With Season 3, the show doesn’t have to speak to that larger system in such abstract terms. It can examine how different circumstances and benchmarks and standards have developed for people of different income levels, races, and stature within the greater Cuyahoga County ecosystem. That variety, coupled with the specificity the show sprang forth with and has only honed since, is a potent match. Nick Thorburn’s plunky keyboard theme, the one that formed the soundtrack to an audio-obsessed late 2014, now exists in a different, fuller Season 3 form, courtesy of show composer Adam Dorn. It’s another fitting opening, given that the show itself has remixed itself. It’s far from an entirely different entity, but it’s one that’s updated and ready to recapture a place in an entertainment and journalism landscape that still needs it. The first two episodes of “Serial” Season 3 are now available to listen. New episodes will be available each Thursday.